The occupational hazard of caring you haven't heard of. Sheena Maireen Saavedra, BSN, R.N. On a scale of one to ten, how tired are you of your job as a nurse? Not all wants to admit it, but some nurses, at some point in their career, have just feigned a smiling face just to show that they are okay. In reality, deep inside, they stood on the middle of the line that separates their want to take care of their clients and their need to be given a small bit of compassion in return. Metaphorically speaking, it is but a disdainful case of dry drowning, and these nurses are dying for some time to breathe, even if they are not swimming underwater. It is not the nurse’s fault if they get tired of their job of taking care of other people, the main essence of nursing. All those long days and nights staying awake for somebody else, always ready to provide care and compassion without second thoughts; it is terrible to think that it doesn’t harm the nurse at all in a psychological and emotional level. The secondary effects of the trauma that the nurses have to meet each day are converted to unseen stressors readily absorbed by the nurse, causing them to feel tired and drained all the time. These stressors, unfortunately, are just being swept under the rug, never given any importance or any chance to be given attention and mitigation. 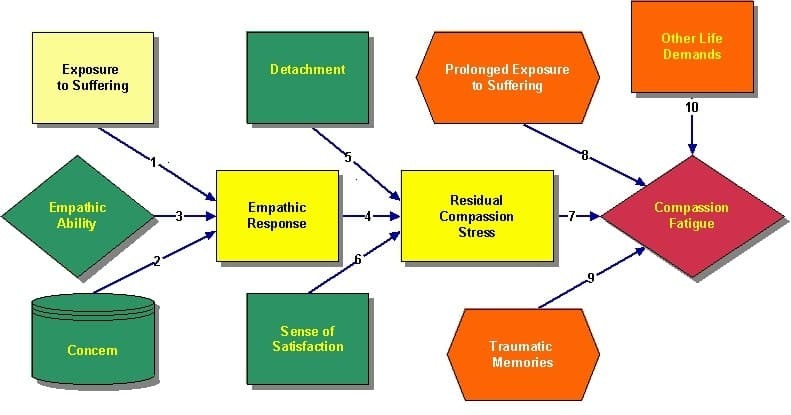 The accumulation of these stressors would ultimately then lead to compassion fatigue. 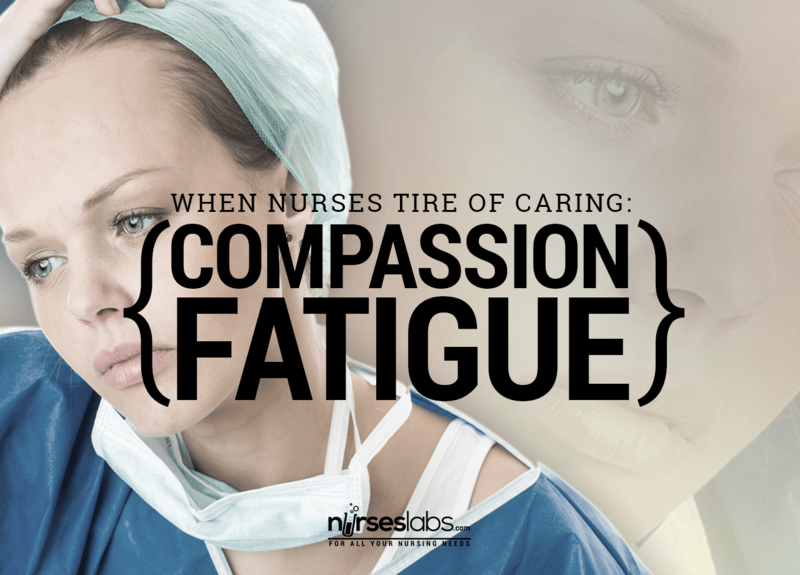 How Do Nurses Get Compassion Fatigue? Figley then called this phenomenon as Compassion Fatigue, also called “vicarious traumatization,” or secondary traumatization. He defined this as the emotional residue or strain of exposure to working with those suffering from the consequences of traumatic events. It differs from burnout, but can coexist. There is endless suffering going on around the medical field, and whether the nurses like it or not, they are going to take it all in. Subsequently, nurses know that the real remedy for suffering and pain is to provide the patient with compassion and love. But you see, there goes the real problem. The nurses have been giving and giving compassion to the patients without receiving any of that compassion in return. It is a fact that the human being is just like a tank- a receptacle. The human being inside every single nurse is in need of constant replenishment of love and concern. Once the tank becomes empty, it becomes a burden for the nurse to do the job well, and things often go downhill because of that. After all, what could a person give if that person no longer has it in the first place, right? As this scenario continues to occur, the nurses would end up focusing more on themselves and their needs and be self-centered, setting aside what the clients need, thinking that they are now as irrelevant as they are pointless. Once compassion fatigue happens, the nurse is hesitant to connect to the patient. The drive to give the optimal care is no longer there. This is risky as the nurse is now willing to compromise the kind of care that he/she gives, and becomes contented with providing substandard care. This disconnection from the patient is bordering on catastrophe, as the patient would think that the nurse is no longer interested. 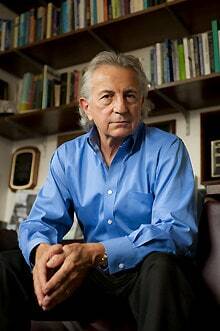 The patient either hesitates to ask for help, or worse, becomes distrustful. The supposedly open communication lines no longer exist. The now indifferent nurse is just too tired to give any care, and that is a problem. Unbeknownst to everyone, this single feature inherent of a nurse is actually the most important factor that could push the dynamism towards a faster patient recuperation. Just because the nurse cares, the patient could feel better. In a manner of speaking, this is the part where the nurses lose their grip to what is essential to the profession. This is bad not just for the psychological being of the nurse, but to the patient too. This could often lead to patient dissatisfaction, more stress for the nurses from the negativity of that situation, and would ultimately lead to more reasons for the nurse to get tired and get uninterested with the job. Not to worry though, as there is actually a way out of compassion fatigue. Below is a nurse’s guide, listed as ABC towards the prevention of compassion fatigue which stands for: awareness, balance, and connections. Be attentive to the signs of emotional instability towards your work. You can take some time to reflect on your thoughts and ask yourself the following questions. Do you feel so apathetic to even the most pitiful cases of your patients? Are you struggling to get up to go to work on a daily basis? Do you feel like you are working so hard yet you don’t feel any sense of accomplishment? Are you irritable in the workplace or outside of it? Does anything that you do in your job bores you enough that it robs you of your drive to do your best? Are you experiencing hypochondriac symptoms of pain and aches that you are not quite sure as to where it originated? The stress that you have would sometimes come out in another form of illness if left untreated. It is all about shifting the paradigm into the positive note instead of allowing yourself to drown in the negativity of your thoughts. It helps to list the things that you feel grateful for in a daily basis, and to focus on the positive side of things. Have more time doing what you are passionate about aside from your work in the hospital, may it be a hobby that you have wanted to do, or anything that could bring back some spirit into yourself. It helps to escape every now and then from what is causing you to feel ill-tempered. Take some time off and indulge in some “Me time” to decompress the negative feelings that you have accumulated in the busy life that you lead. Oftentimes, it helps to disconnect from people for a while to bring you back on track. Listen, someone else is willing to help you cope with your dilemma. You do not have to carry the burden alone. Share. Most importantly, if you want to talk about it with someone, do it! Do not keep your feelings to yourself. You may call a reliable support system, or seek professional help. Studies show that having someone to lean on is a foolproof way to battle compassion fatigue. Pets can help. If in the absence of that support system, it is also a good solution to adopt a pet. The love and affection that you can receive from a pet is a life saver as they can give it to you without asking for anything in return. It is also proven that sharing some time with animals can reduce blood pressure and heart rate. They are also good absorbers of your stress. Yes, even a pet fish can do the trick. Mother Teresa, a public figure in our history that has led a life of kindness and compassion, was aware of compassion fatigue. She wrote in a plan that she gave to her supervisors that it was mandatory for her nuns to take an entire year off from their duties every four to five years to allow them to heal from the effects of their care giving work. Mother Teresa mandates her nuns to take an entire year off from their duties. Now what about us nurses? Of course, that plan sounds too good to be true, but no, such benefit and incentive doesn’t exist in our field. But it never hurts to hint that as a wonderful suggestion, right? The point is, there is no right way to be a nurse, but somehow, nurses happen to fall into a dark place every now and then. Unfortunately, there are no effective solutions yet in retaining the nurses who are at risk for attrition, or for those who have already left the profession due to compassion fatigue. 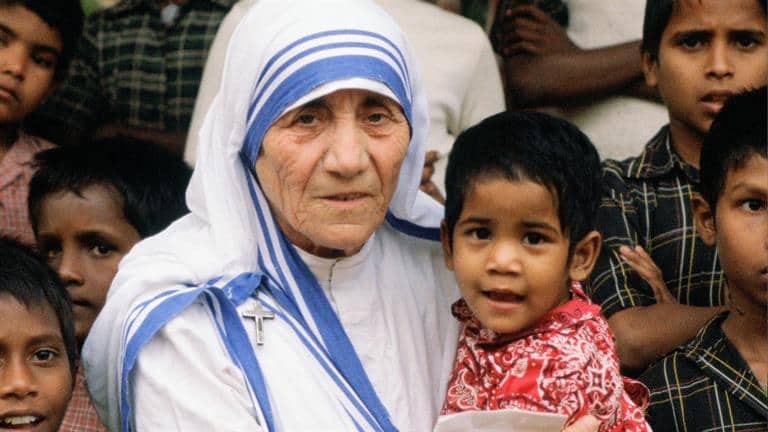 What’s more, the solution suggested by Mother Theresa could never be implemented as we are already experiencing shortage of available nurses in the field. It would be sensible to mention that the continuous decline of available nurses might have been caused by the unparalleled ratio between the ambitions of a person to become a nurse with the actual scenario in the medical field. Expectations are not rightfully set. It is fair to point out that not all nurses are fortunate enough to experience a relaxed work environment; some nurses experience more trauma than the rest of the medical population. We can’t blame them for leaving if that’s the case. Some nurses would then realize that they have signed up in the wrong army and in the next four or five years or less, they go packing their bags, never looking back to the misery that they just went through as a nurse. Compassion Fatigue is a real deal. It is not a cannonball that blows, but oftentimes, it is a chain that binds. The nurse that used to work with zealot and passion way back in the olden days no longer wants to move to go to work. The nurse has changed and has become apathetic to the patients as he/she tries to survive one shift to the next by going through the motions of daily routine. This is not a case of anger management though, where the nurse loses his or her temper in a snap and shoots everyone to the ground, but it is similarly becoming deeply rooted behind a facade of “I am okay,” when in fact, it is actually not. What we see is often not what it seems. The problem is, way back when nurses were still students, they were not taught on how to take care of their well being once the depletion of the compassion happens. It is an occupational hazard, but unfortunately, the nurses missed out on that memo early on. This unpreparedness to that predicament has been one major factor as to why the combat against compassion fatigue often comes a little bit too late: the nurse is already burned out. The heart is now a stone. Apparently, people tend to forget that nurses are not robots; human as they are, they need compassion as much as patients do. We all need it. So what’s going to happen if nurses are a little bit deprived every single day of empathy and equivalent compassion? It gets accumulated over time, and it could cause for the stone to hit rock bottom, causing the nurse to crash. But please, let’s not wait for it to happen. Sheena Maireen Saavedra is a registered nurse since 2007. She is working as a general nurse in Ireland since 2016 but was a nurse in the Intensive Care Unit and Coronary Care Unit when she was in the Philippines. As a person who continually challenges herself to expand her skill set, she ventured into different fields of the medical world, which includes working as a Product Performance Analyst and Quality Analyst in Boston Scientifics Inc, a medical company that manufactures Class III implantable devices such as pacemakers, ICDs, and CRTs. In general, she enjoyed being a nurse as it helped her meet all kinds of people – which impacted her life the most as she listened to their stories of triumph and tribulations. The profession has created avenues for her to make a difference to somebody’s life. This inspired her to write materials, guides and stories that served as sources of inspiration and help to the world around her, in particular to her fellow sisters and brothers of the industry. this post exactly defines how I feel this past few months. Since it’s too much for me now, I have decided to leave my job in the meantime.